Durrington, Berryhill, and Swafford (2006) stated that "to encourage high student interactivity in an online setting, the learning environment must be supportive, open, and respectful" (p. 191). In the digital world that we live in today technology is a highly integrated part of most people's everyday lives. In order to create the supportive environment that Durrington, Berryhill, and Swafford discussed technology is a critical element to include. One project that I have been working on with a coworker is presenting free web 2.0 tools to the staff of the school that we teach at. 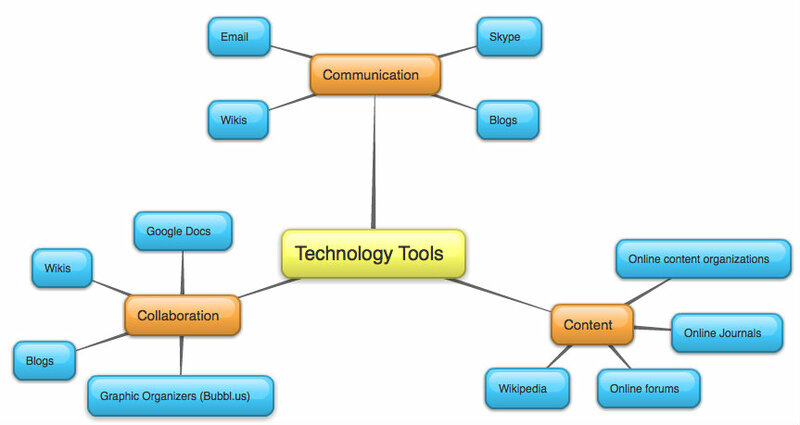 The goal of the monthly trainings is to show a variety of web 2.0 tools from several different types of use. We have created a website that organizes all of the tools by category, gives a brief overview of the tool, provides a few suggestions of how the tool could be used, as well as any helpful resources. The trainings that we have provided have been well received by the staff, and they are beginning to be more comfortable with the technology, as well as utilizing it in their daily teaching. Email has become one of the standard ways to communicate through the internet, but there are many other ways to communicate. Communication can occur either in real time, or through postings. Wikis and blogs allow people to make an initial posting, and then receive feedback from others. Skype allows people to communicate in real time through either video chatting or audio chatting. It also allows single people or groups of people to connect with each other. The internet has expanded the potential for collaboration through shared documents such as Google Docs. People can also collaborate in wikis on a common topic. Blogs allow the orignal person to post thoughts on a topic, and then people to collaborate through the comments posted. There are also several graphic organizer websites that allow users to collaborate on ideas. The website used to create the embedded graphic organizer is one that allows users to collaborate on a common document. Content is a quickly growing area of the internet. According to Did You Know there are 540,000 words in the English language, that is five times the number of words during Shakespeare's time. With this increase in words has also come the growth in the amount of content knowledge. The challenge in the digital world is being able to access all of the content available. Wikipedia is a good resource for an overview of a variety of content. There are many specialized organizations that create and share new content. Many of these organizations also publish journals that are available online. Another place that has a large amount of content is online forums. A forum is a place where people can post a question or problem and then others make comments back. This online forum format helps to create a lot of content in specific areas. Collaborative, or group projects have always been the Achilles heal of the assessment world. 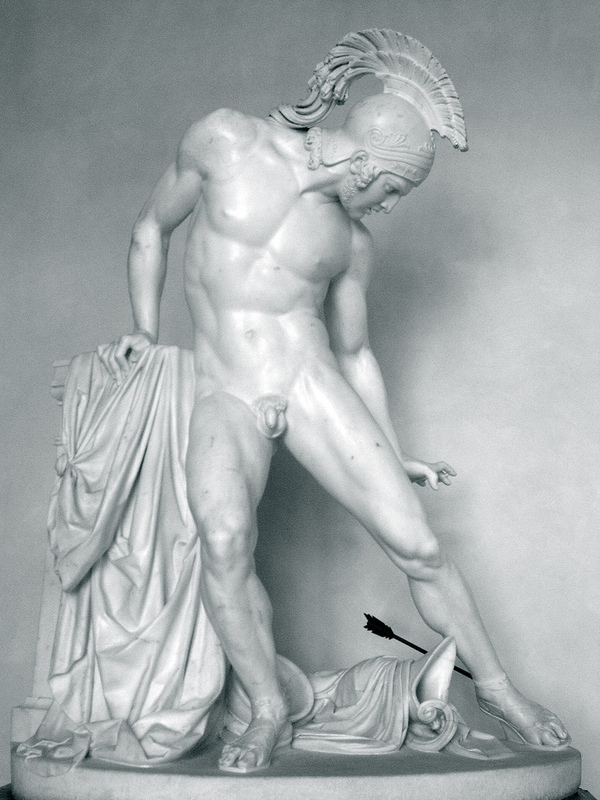 In case you forgot, Achilles was a mighty Greek fighter who was killed by a fatal arrow wound to the sensitive heal area. Although Achilles was a strong warrior, this weak part of his body ended up being his downside. The reason why collaborative projects are the Achilles heal of the assessment world is the challenge that they pose to assess. With many people contributing to the final product it can be challenging to know if the work was done equally, fairly, and represents the thoughts and ideas of the entire group. Although, with careful planning and guidance on the part of the instructor collaborative projects don't have to be the Achilles heal. Palloff and Pratt (2005) outlined a three step process to support the collaborative process: model, guide, and then evaluate. In the modeling phase the instructor works with the students to show them what good collaboration looks like. During the guidance phase the instructor could meet virtually with the group to determine the roles of the members, the outline for the tasks, and an overall plan for the project. During this phase the instructor is there to guide the group in their mission. The final evaluation phase the is a chance for the instructor to meet with the group as a whole, as well as the individuals to assess the end product. One of the largest challenges in a collaborative project is the role of each individual not always having an equal part in the final product. One of the befits, as well as challenges to working collaborative is that everyone brings different skills to the table. Different skills does not always mean that everyone will have an equal amount of time invested in the final product. The role of the instructor when it comes time to assess the product is to determine if everyone contributed their best to the product. Palloff and Pratt (2005) suggested that in a collaborative project that each individual create a portfolio of their contributions to the product. This portfolio, as well as the group and individual conversations can aid in the assessment of the final product. Another challenge to collaborative projects is a member not wanting to network or collaborate in the learning community. When this lack of engagement happens with one member of a collaborative group the entier group and struggle. It is the responsibility of the group to reach out to both the instructor and that group member. The rest of the group should not be penalized if one member of their group does not want to engage and work collaboratively. If the instructor has taken the advice of Palloff and Pratt and worked supporting the group through the three phases of the collaborative process then the chances of having a non-committed group member is less likely to occur.